This season it's all about the beret and this Helen Moore beret ticks all our boxes. Luxuriously warm and extremely stylish with a gorgeous generous pom. 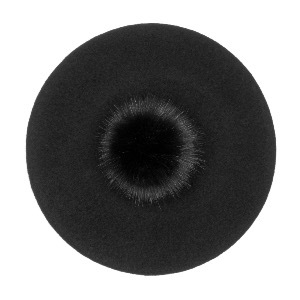 We also have this beret in soft grey with grey pom, and Raspberry with black pom. Top tip - if your beret gets damp to retain it's shape place the rim over a dinner plate until it drys.